That’s a good question, and I’m trying to figure that out myself 🙂 I also wanted to spend some time talking about what my vision for this blog is, why I started it, and what some my goals are (if you don’t have a lot of time, plan to come back later, or just aren’t interested :(, feel free to scroll down to the Too Long Didn’t Read section at the bottom). Despite being in my 20s, I consider myself a child at heart and am always looking to learn and explore as much as I possibly can. I’ve always been an ambitious and competitive person and have been always looking for a sense of community everywhere I go. The primary reason I did well in school is because my friends were doing well in school and they provided motivation for me. Having an engineering mindset, I’m not interested in wasting time or money, but rather finding the most efficient solution to solving complex problems. At the same time though, I have a tendency to try and work problems out on my own, even if it takes longer, rather than asking for help and allowing someone else to do it for me. After graduating from high school, I originally wanted to be a lawyer because I believed that would fulfill all of my goals of being successful, living comfortably, and allowing myself constant competition to keep me motivated and interested in what I was doing. I even had a semi-successful high school mock trial career! 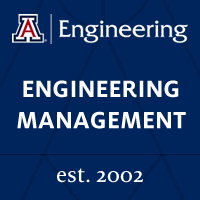 After a few weeks as a Political Science major at the University of Arizona, and finding out that most of a lawyer’s work involves reading, writing, and researching rather than debating in court, I decided to turn down an Engineering path. My second semester of college, I took my first ever coding class in C (still don’t understand why they didn’t teach us Java first) and was amazed by the complexity, yet at the same time, simplicity of it all. It astounded me that typing a seemingly random sequence of characters into a computer could do so many crazy things, and with computers becoming an ever increasing part of our everyday life, right away I saw the vast potential. Not being the greatest at making decisions, I stalled on choosing an Engineering discipline. All of the majors had their own pros and cons but none of them really spoke to me. I’ve always considered myself a little bit off the beaten path and not just being another face in the crowd (although being introverted, I tend to prefer to stand out towards the back of the crowd). One of the Engineering majors that didn’t get very much attention was Engineering Management. This general purpose Engineering degree, allowed an Engineering specialization, while also combining business concepts that most engineers traditionally lack. Understanding that it’s truly the right combination of business and engineering that makes the largest companies successful, I felt that this was the right degree for me. As much as my friends tried to convince me that I wasn’t a real engineer (which drove me to complete minors in Computer Science, Computer Engineering, and Math), I marched forward anyway and learned about quite a few business concepts such as how to fill out an income statement, what terms like P/E ratio and APR% refer to, and a little bit about how a business runs. The Engineering Management program also partnered with the Business school and allowed me to go through the Entrepreneurship program as well (in addition to getting me out of having to do a senior research project). This also taught me quite a bit about all the skills necessary to run a business including technology, sales, finance, and a skill that I sorely lack, marketing. Our team happened to have all of these elements on our side and while I provided the technical component of the team, I also gained some amazing knowledge of how businesses run and what things are like from a sales and marketing perspective. While our entire team had jobs lined up after college, one team from my class ended up being pretty successful and even had a successful partnership with Mark Cuban on Shark Tank. Before graduating college, I worked a little bit for Apple as a Mac Support Advisor. 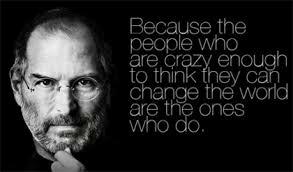 One of reasons that Steve Jobs is my favorite technologist (I even have a poster of him in my room) is because he understood better than almost anyone that to be truly successful, you need more than just the right technology, but also the sales strategy, targeted marketing, user experience, and just the right amount of crazy in order to be successful. This leads us to why I really wanted to start this blog. Now that I rambled on for a few paragraphs about my background, let’s get to the meat of this post. Why did I decide to start a blog? That’s also a question I’m still trying to answer but I think it’s because I’m truly passionate about the work that I’m doing and want to write it all down, not for anyone in particular, but mostly for myself. I also took some inspiration from some of the current Salesforce bloggers. My hope in future posts is to eventually help people throughout their careers whether that be in technology, life, or whatever it they choose to do. My focus though is mainly going to be on my own career, tips that I’ve learned, and how to use them to your advantage. 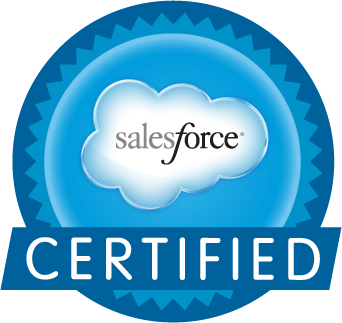 For the most part, this is going to revolve around the Salesforce platform and my quest to get certified and eventually become a Salesforce Certified Technical Architect (hence the name of the blog!). I plan to share some how-tos I’ve picked up, shortcuts I’ve learned, and certification tips that can help you grow your career alongside me! P.S. Since I’m new to blogging, I’d appreciate your feedback, both positive and constructive, at adam@adamtoarchitect.com. Feel free to share general thoughts, ask questions, or let me know what you’d like to see in future posts. I have a lot of ideas but always willing to hear more!